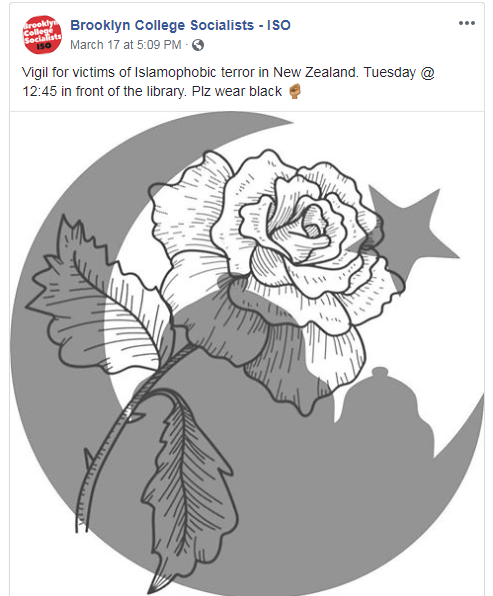 On Tuesday , at Brooklyn College, the Brooklyn College Socialists held a vigil was held in solidarity with the Muslim victims of the massacre in Christchurch, New Zealand. A small group showed up to show solidarity. 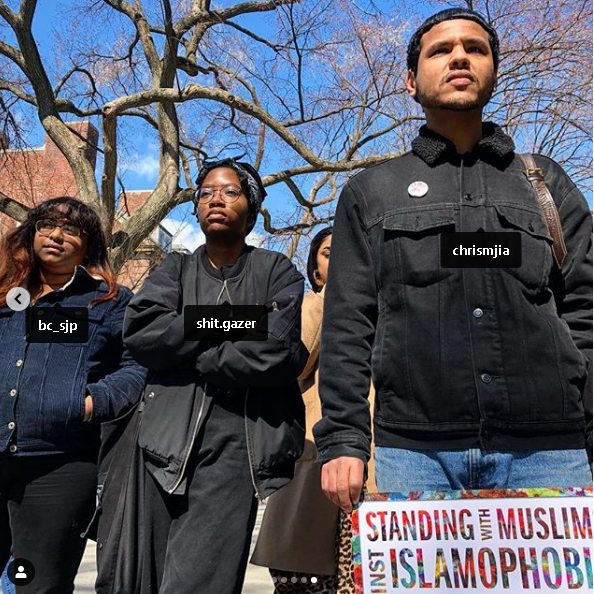 Then, as the Brooklyn College Student Union Instagram shows, people started chanting for an Intifada - effectively calling for people to kill Jews in Israel, as the two previous intifadas had done. 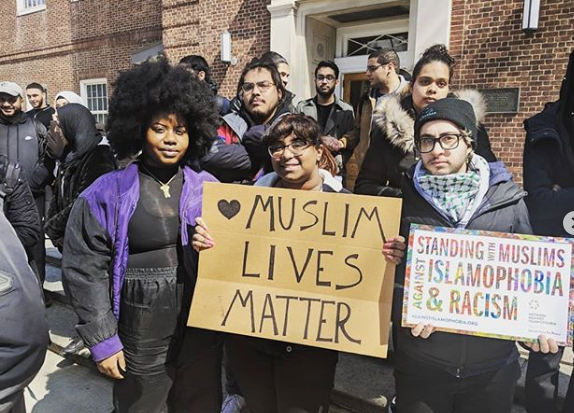 The leader of the chants is holding the sign shown above that says "Standing with Muslims against Islamophobia and Racism" so it was certainly at the same gathering. Yes, a rally to support Muslims against violence ended up becoming a public call to kill Jews. The chanters don't exactly sound like white supremacists. 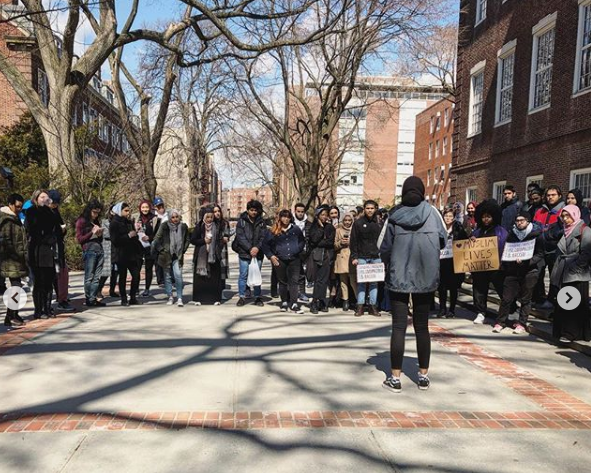 UPDATE: I originally posted that this was a rally from the YPA Brooklyn College on Thursday instead of the socialists' rally on Tuesday. I regret the error.